Trimming your daily calorie intake below your daily calorie burn helps you lose weight. The more calories you burn in a day, the less you have to restrict your food intake. If you burn just 300 calories more per day, you can enjoy and additional snack like a bowl of cereal with low-fat milk, two chocolate chip cookies or low-fat yogurt with a banana and granola. 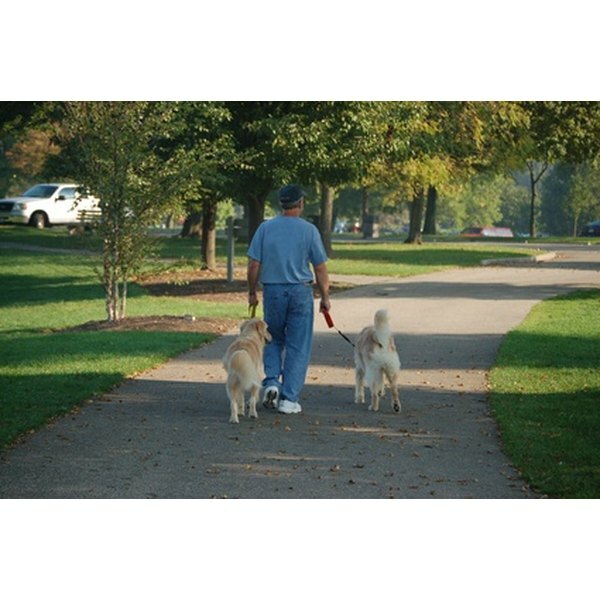 Walk your dog twice a day, for 30 minutes each time. Take him out in the morning and the evening to total an hour of moderate exercise that burns close to 300 extra calories per day. Borrow your neighbor&#039;s dog if you do not have your own. Add an incline to your treadmill workout. Walk at an incline of 10 percent, instead of a flat belt, for 45 minutes at a pace of 4 mph to burn nearly 500 calories as compared to 200 calories. Jump rope morning, noon and night. Go for three, 10-minute bursts of rigorous rope jumping to sizzle 300 calories. Do household chores. Clean house for 1 hour and 15 minutes, doing multiple tasks like vacuuming, washing dishes, dusting and sweeping to burn an extra 300 calories. Play with your kids. Toss a ball, play tag, push them on a swing and run after their bike to burn about 300 calories in an hour and a half. Get up from your desk and walk the halls for 10 minutes at a leisurely pace to burn 30 extra calories. Do this every two hours--about 4 times a day in an eight-hour work day--to create an extra burn of about 130 calories. Add a brisk walk at lunch for 40 minutes to burn another 170 calories and reach your 300-calorie burn goal. Fidget, pace and stand often. Gesture when you speak, laugh boldly, volunteer for errands and tap your toes. According to a May 2005 article in the New York Times, lean people burn about 350 more calories per day because they are simply more restless than their overweight counterparts. Take a 45-minute dance aerobics class. Burn 300 calories, or more, with moves that have you shake and shimmy--making exercise feel fun, rather than being a chore. Remember that the number of calories you burn in any given activity depends on your size, intensity and efficiency. The examples above of calories burned are estimates for a 150-lb. person. Remember, any physical activity helps with weight management and heart health.